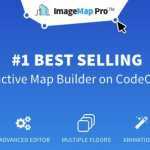 Image Map Pro is yet another high standard WordPress map plugin that you can get. 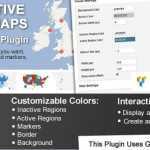 With the plugin, you can do a lot of things without writing a single line of code. It comes with a drag and drop builder and offers tons of other features. It also supports SVG, and you can directly import it using Illustrator. They provide excellent support. You are guaranteed to get a reply within 24 hours. Moreover, you can connect with them using live chat or email.